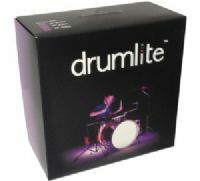 Pack your drum kit with DrumLite, and all eyes will be on you. 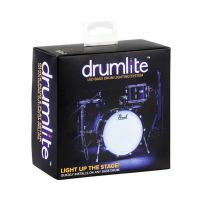 The Drumlite Standard LED Bass Drum Lighting Starter Pack makes the head of your bass drum light up in bright colors without doing anything to the shell! Pack your kick drum with DrumLite, and all eyes will be on you. 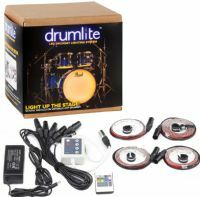 The lighting systems from DRUMLITE are a unique way to equip your drumset with an unmistakable show effect. There are 6 pre-programmed presets with up to 8 different colors to choose from, which can be controlled via a cable remote control. Light Up! 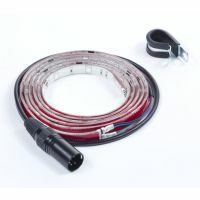 Drumlite is the optical innovation that your drum kit has been missing, because finally a company has completely specialized in illuminating the individual boilers style and effective.